Many varieties of perennials are available to gardeners in USDA hardiness zone 7. This zone, with its somewhat “middle ground” of temperatures, includes portions of several states in the U.S.--Delaware, through northern Georgia and westward into northern Texas. West of Texas, smaller belts of zone 7 are located in New Mexico, California and up into Oregon and Washington. Portions of eastern coastal areas are also able to sustain zone 7 perennial plants. Visit reputable garden centers and nurseries to find popular and well-suited perennials for your particular region within zone 7. Day lily (Hemerocallis hybrids and cultivars) are clumping perennials, growing to a height of 3 feet or less, depending on the cultivar. Day lilies have simple, strappy, grass-like leaves 1 ½ inches wide at the base of the plant and taper to a narrow point. The flowers of daylilies only last for one day, and appear throughout spring and summer, depending on the variety. Its flowers come in shades of orange, yellow, red and purple, have a funnel shape and grow in clusters. 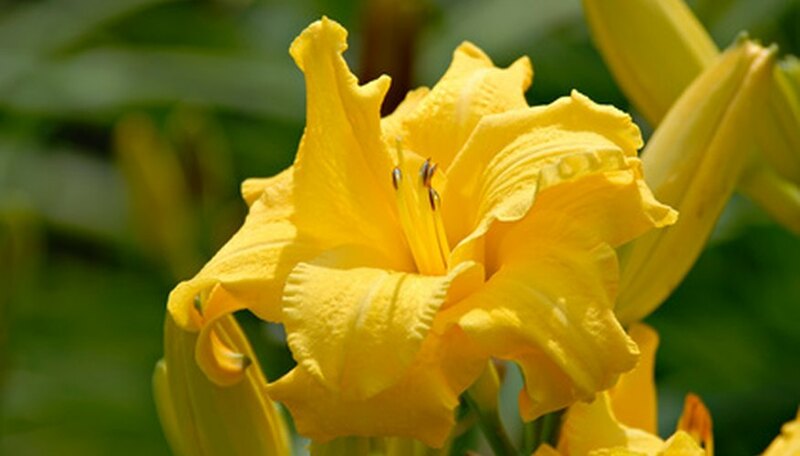 Grow day lily in full sun to partial shade on a wide range of soils. Liriope (Liriope muscari), also known as liliturf or monkey grass, is an evergreen perennial that forms dense, grassy mats 8 to 24 inches tall, depending on the cultivar. Its leaves are simple and grasslike, dark green, leathery and tuft-forming. Liriope has small purple flowers, dense, in hyacinth-like spikes on stalks taller than the leaves. Some cultivars have showy flowers blooming in late spring to early summer. Grow liriope in partial to deep shade, but some cultivars tolerate full sun. Lirope grows on a wide range of soils and tolerates some drought. Rudbeckia, also known as coneflower, belongs to the daisy family and is a popular, hardy perennial with lance-shaped, deeply veined leaves and large, golden yellow flowers, and usually dark brown or black disc florets (centers). Rudbeckia flowers until cut back by frost and grows in open, sunny locations on moist, well-drained soils. English primrose (Primula vulgaris) is an easy-growing perennial, up to 8 inches tall and 1 foot wide, with crinkly, tongue-shaped, bright green leaves that grow low to the ground in a rosette form with short flowering stalks growing from the center. The prolific, 1-inch-wide flowers of English primrose are pale yellow, but hybrids are available in a wide range of colors. Grow English primrose in partial shade, protected from hot afternoon sun. English primrose prefers nutrient-rich, deep, moist, well-drained soil.